For the past decade, horror movies have taken a steep decline in quality but Rising Tide is certainly a game-changer. Premiered last August 2011 at the Tyneside Cinema with a sold out crowd, this full-feature film is a coming of age piece that will make you grab for your seats. It’s directed by Philip Shotton and Dawn Furness under Northern Film & Media production funded through Northern Film & Media’s Film Innovation Fund. With school exams over, a group of close friends plans a final camping adventure in the tidal island of Lindisfarne. But the group’s newbie, Izzy, is hiding a dark secret that’s waiting to take revenge on the terror-stricken teens. If you think that this is just be another film with the same-old tiring plot, well, think again. Featuring a script developed by the cast through workshops and improvisation, this is a revolutionary masterpiece for movie lovers that demand something different. The story is a melting pot of teenage desires and uncertainties, brewing them to a twisted story of paranoia, loss, and revenge. Narrative aside, the film is also teeming with fresh faces and solid talent. The actors have opened a gateway to a deeper understanding on teen sentimentality. It stars Ileana Cardy, Anna Greenwood, Leif Halverson, Lewis Jobson, Joe MacCabe, Harriet Perkins, Casey Railton, Isolde Roxby, Jodee Temple, Jack Traynor, and Peter Furey. 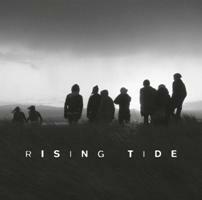 All in all, Rising Tide is a mind-blowing roller coaster ride of a movie. And like the best thrill rides, you’ll definitely want to go back on and on again. So turn off the lights, grab some popcorn, and enjoy a one-of-a-kind chilling experience.